The glowing signal from a piece of tech wants your attention. It tells you something is waiting for you. So every time I open up the case to my 3DS and I see that little green light I get excited. I’m a big fan of StreetPass. 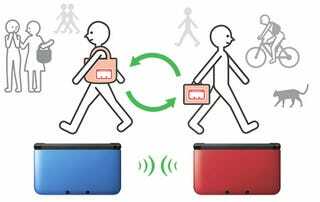 For those not in the know, StreetPassing is when your 3DS wirelessly exchanges data with another 3DS. This exchange introduces your Mii to another user which can then be used in StreetPass specific games. Some 3DS games also have a StreetPass functionality. From rescuing my Mii, to planting a garden, visiting houses in Animal Crossing and battling Shadow Links, StreetPass can take up a good chunk of your time on the 3DS. But I have two favourite parts of StreetPassing. The first is seeing where the Mii you encountered is from and what they have played last. The second is Puzzle Swap. Here, you gain puzzles pieces from Miis to complete a picture of a Nintendo game. When a new puzzle is released, I try to remember to have my 3DS on me wherever I go. Sometimes there are gaps though and towards the end of 2015 I was preoccupied. So in January, I got back on the StreetPass wagon and this time I kept a record of the games people I StreetPassed were playing. From where I left off, I had 64 puzzles pieces to collect. The StreetPass hits were from my everyday travels in London – going to work, out to dinner etc. I didn’t get multiple hits from conventions or events. To keep things simple, I decided not to include people I encountered more than once to avoid recording the same game. The period covered January to March 2016. By the time I had completed the new puzzles, I encountered 121 Miis. So what were these StreetPassers in London doing and where did they come from? As expected, the majority of Miis were from England. About 13% of encountered Miis were from other countries (including the rest of the U.K) such as Spain, France, Denmark, Italy and Portugal and also the US. This was the most popular series during my StreetPassing. About 24% of people I encountered had been playing a Pokémon title. This includes main line titles such as X/Y, Omega Ruby/Alpha Sapphire as well as spinoffs such as Shuffle, Picross and Rumble World. Just over 12% had been playing either an Animal Crossing game, Harvest Moon, Story of Seasons or Tomodachi Life. This perhaps reflects the nature of these games by constantly checking in and playing for several months. Nearly 11% of people’s last game was Mario related. No one Mario title dominated with Mario Kart 7 and Mario & Luigi: Paper Jam Bros. equally as popular. There were 50 different games/activities that people were playing/doing last. This highlights the impressive library of the DS systems. However, some activities that showed up on StreetPass were people browsing the Nintendo eShop, YouTube and the 3DS Camera. It was interesting to see people playing The Sims 3, New Style Boutique 2 or a Dragon Ball Z game. Offering a glimpse into Nintendo’s step into mobile gaming, 21% of people were playing either Nintendo Badge Arcade or Pokémon Picross/Shuffle/Rumble World. This suggests some players are ready for the future of a mobile Nintendo. So that was my StreetPass diary. Only representative of my everyday travels during that time but it ended with the satisfaction of collecting all of the puzzle pieces.